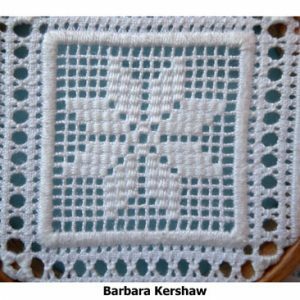 Barbara Kershaws “Exquisite Schwalm” Sampler kit has a book dedicated to the creation of an “Exquisite Sampler” with 110 double sided pages of detailed instructions on how to set out the 49 squares and work the intriguing mousetooth hem edge. The sampler is a sampling of 48 of the many varied filling stitches found in Schwalm Embroidery. 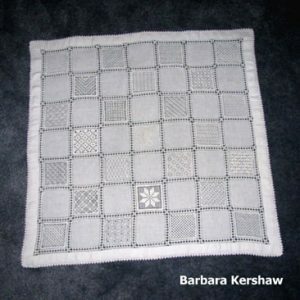 The mailing cost for the kit or book is included in the price and will be mailed directly from Barbara.